If you read my post the other day, you will know that I met Tanya Burr (here) well on Tuesday I also had the chance to meet the amazing Fleur De Force! I am sure, you will know who she is so won't go on, but I was so excited to meet her because I knew from stalking on twitter and instagram that I would have a proper chance to meet her ect. And I did! We stood in the que for a little while and then where taken to the back of the store and we could hear her voice and started squealing because its recognisable! 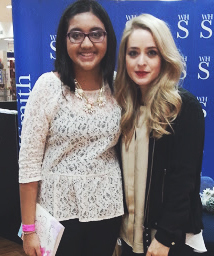 Aamira went up first and her phone froze so she borrowed mine, then I went up and she was the sweetest person ever. 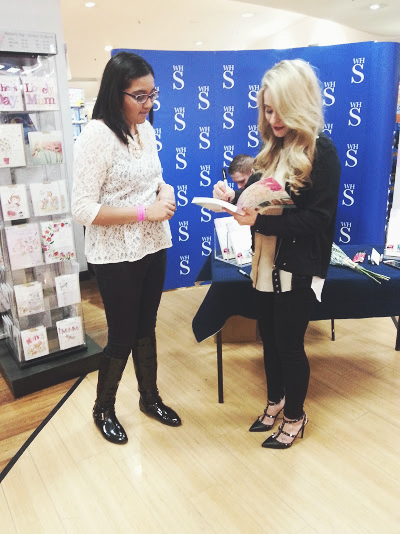 She was asking how I was and that she liked my necklace. Then I gave her a present, and we spoke for a little while before having a photo together which I will treasure forever and ever. 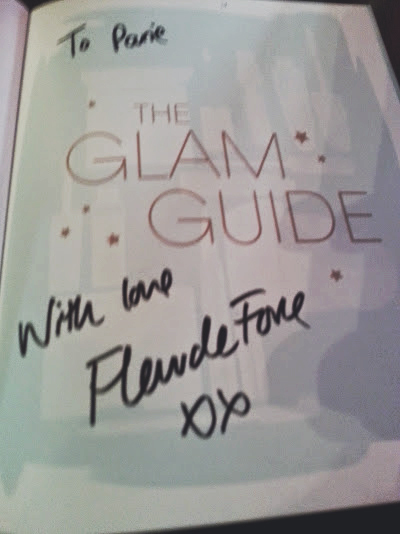 I am currently in the process of reading her book 'THE GLAM GUIDE' but as soon as I finish it, I will review it for you all - as I am sure you want to know! 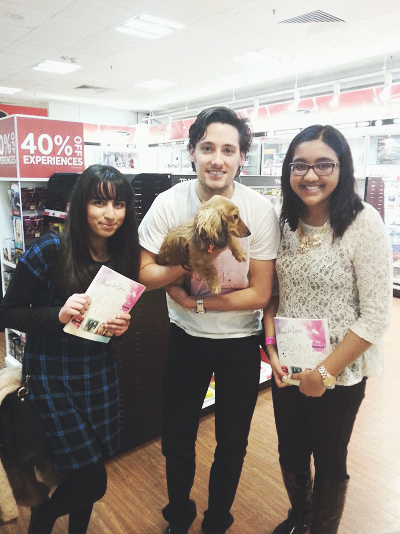 After we finished with her, we had a cheeky picture with Mike and Piglet who is the cutest and sweetest thing ever!